Bus drivers, train operators and other employees of mass transit must take care to ensure the safety of passengers and others on the road or rails. If you or someone you love was injured in a bus accident or other mass transit collision, it is important to consult with an experienced attorney you can trust. 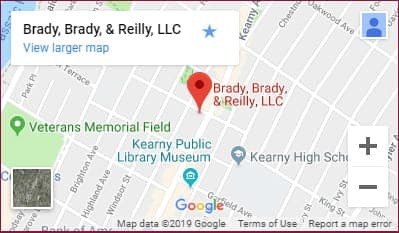 At Brady, Brady & Reilly, LLC, in Kearny, New Jersey, our lawyers are experienced in the investigation of complex claims and will take every necessary step to protect your rights and interests. A prompt investigation can ensure that certain evidence is preserved and your rights are secured leading up to a settlement, negotiation or trial. Our attorneys have extensive experience in complex accident claims and will work with leading experts, including accident reconstructionists, financial planners and medical professionals who can testify on your behalf. We understand how an accident or injury can impact your life and will help you recover the compensation you need to move forward. Train accidents and collisions can be catastrophic, even at low speeds. Car drivers, bikers and pedestrians are all at risk. If you or someone you love has been involved in a train accident or injury, our attorneys can protect your rights and ensure that you recover the full compensation you deserve. We will use our extensive resources and proven strategies to collect for medical expenses, pain and suffering, long-term care needs, and any other expenses or losses you have incurred. Free consultations · Evening, hospital and in-house visits · Spanish and Portuguese language services available · Se habla español · Call (201) 997-0030 or contact us by e-mail to arrange a case evaluation directly with a North Arlington bus crash attorney.